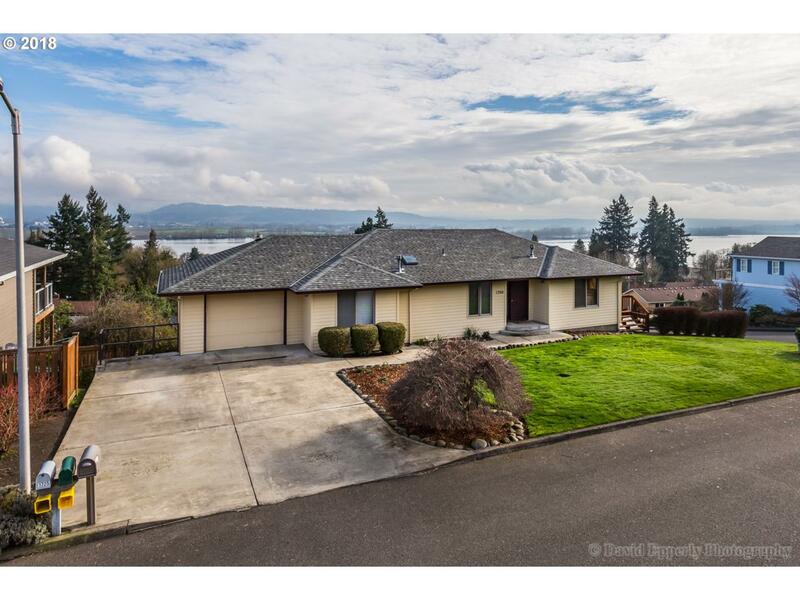 Fabulous Columbia River and mountain views from this home. Kitchen with cook island and tons of cabinets open to the dining room. Large picture windows in the vaulted living room to take advantage of watching the ship traffic. Master on the main & master bath with heated floor. Lower level family room & two additional bedrooms. Enjoy summers on the deck. Corner lot with three garage spaces plus extra parking.